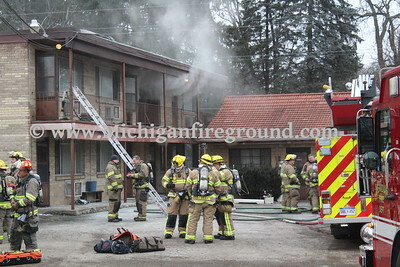 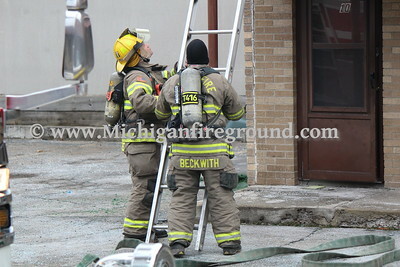 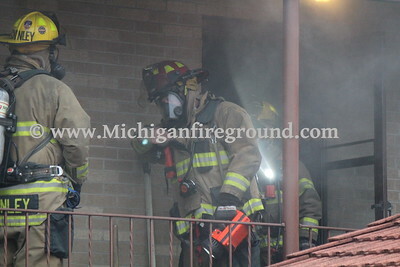 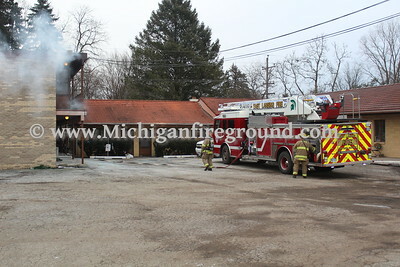 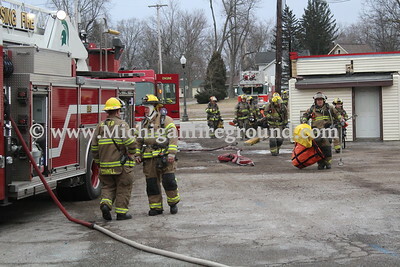 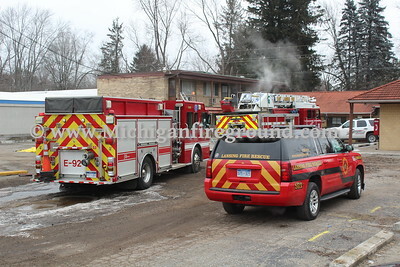 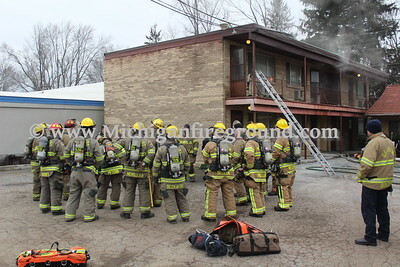 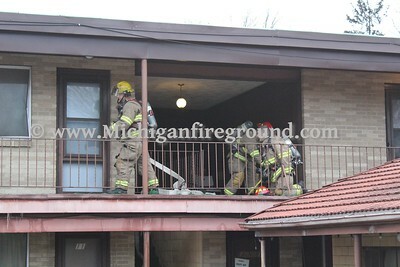 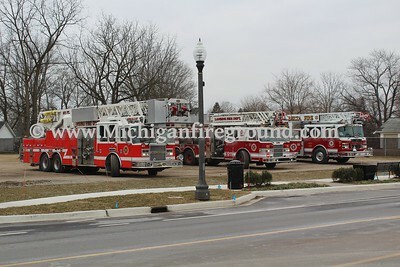 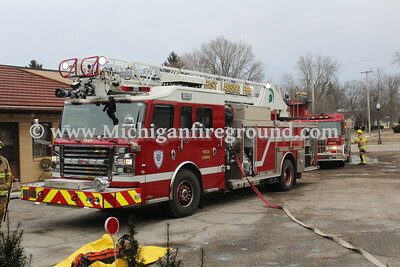 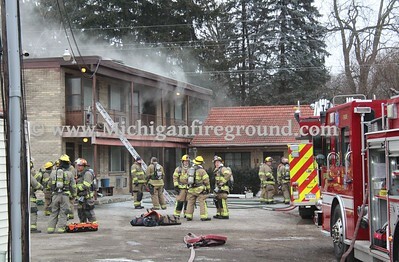 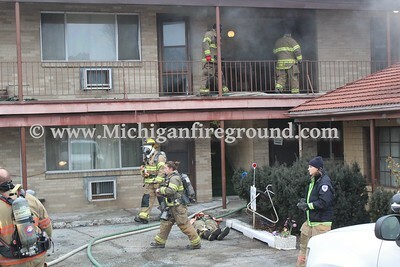 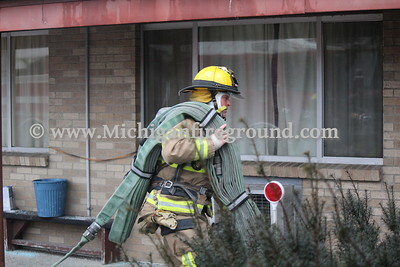 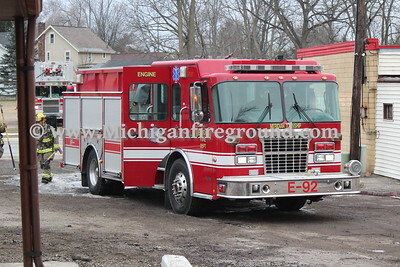 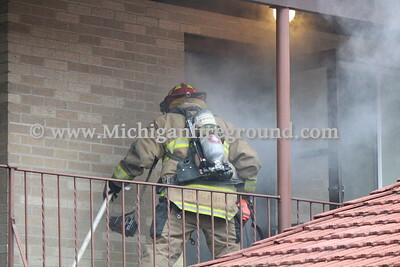 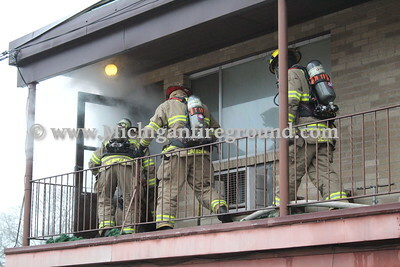 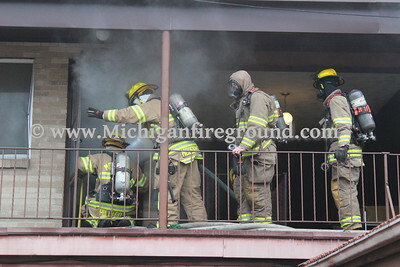 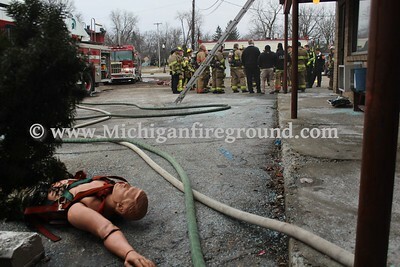 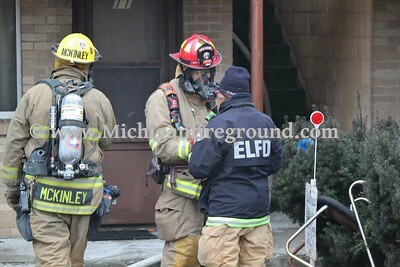 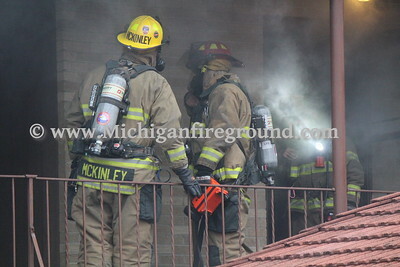 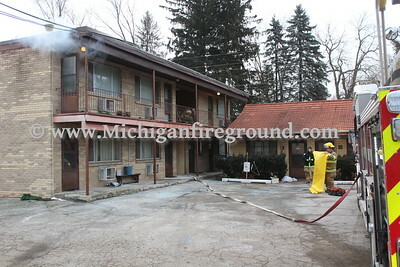 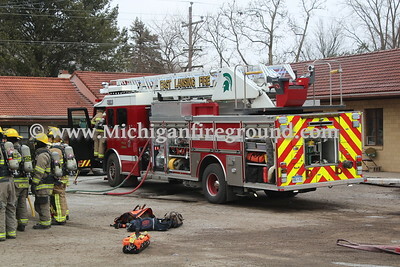 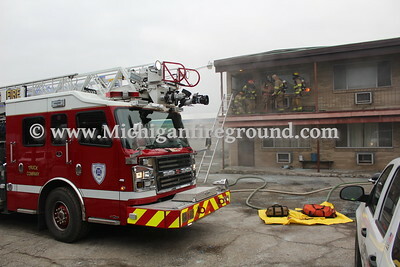 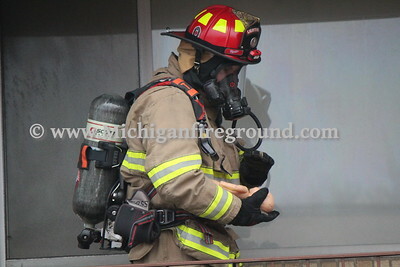 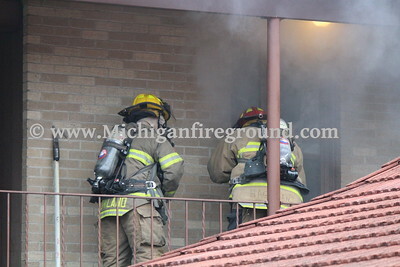 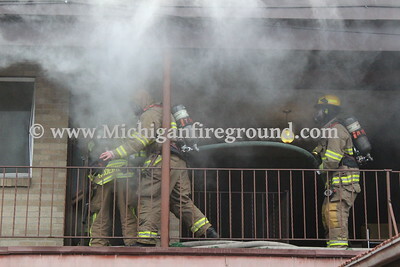 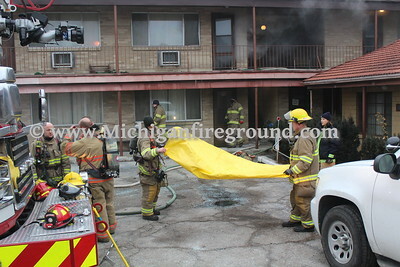 During the morning of Thursday, January 17, 2019, the Delhi Township Fire Department hosted a training evolution for the Metro Lansing area fire departments at the former Happy's Inn Motel. 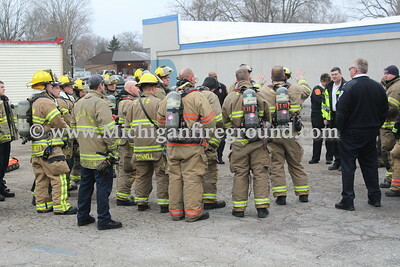 Fire conditions were simulated, but the exercises were conducted as if they were real with staggered crew arrivals and command issuing assignments based on changing fire conditions. 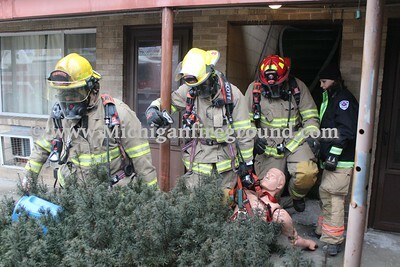 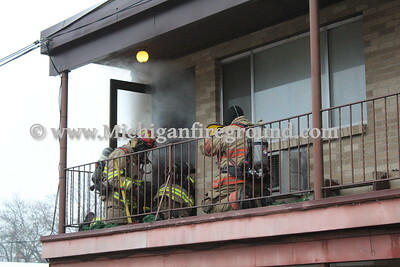 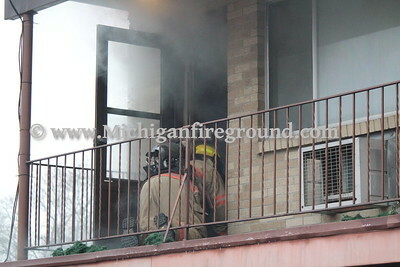 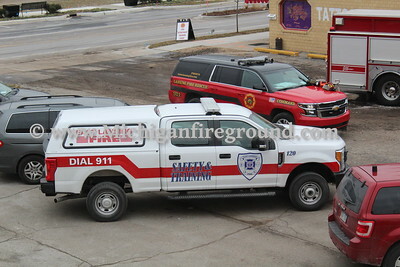 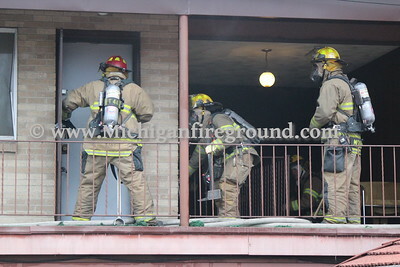 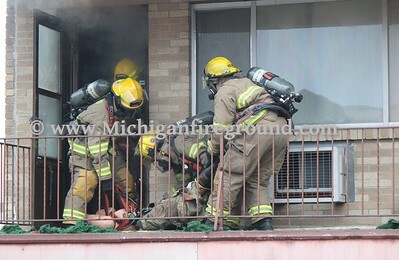 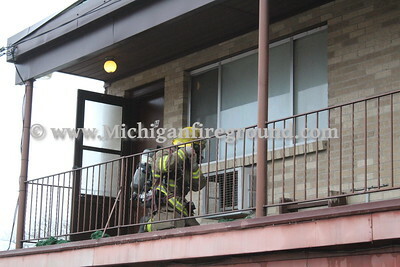 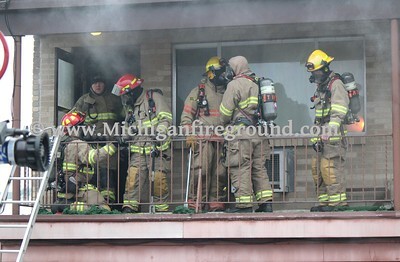 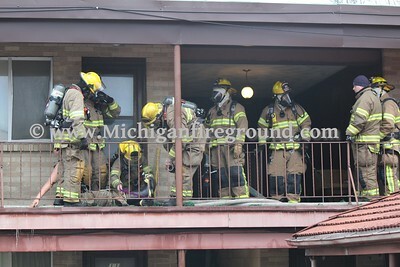 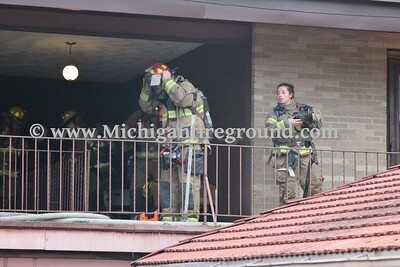 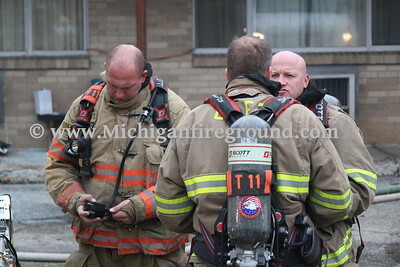 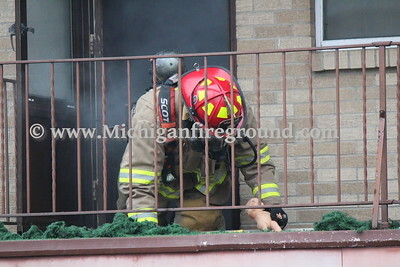 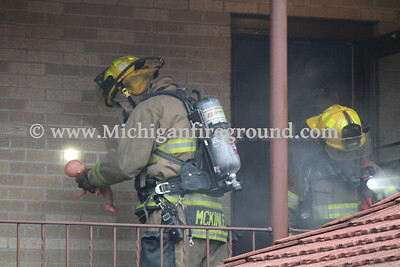 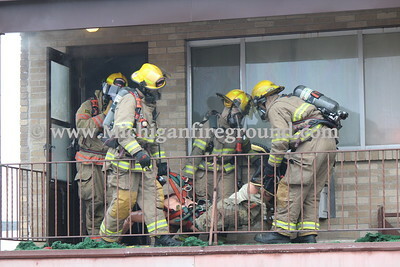 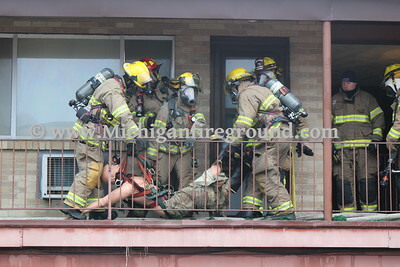 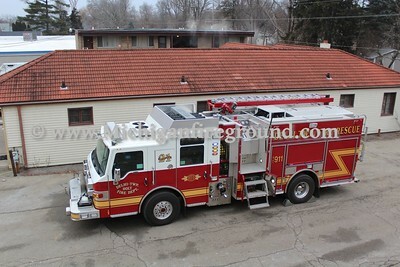 All skill levels of first responders were included in the exercise, from the incident commander to the firefighter. 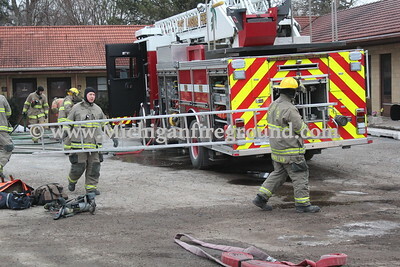 Several exercises were conducted, and the simulations were changed up a bit each time to keep them different. 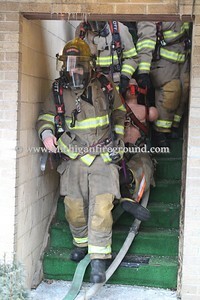 Exercises included search & rescue of civilian victims, and RIT activations for a firefighter down or even a firefighter through the floor. 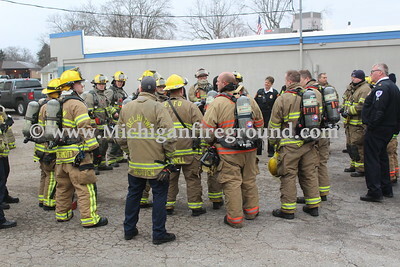 After each session all participants were encouraged to participate in a critique to discuss strategies and tactics.